This farmhouse fresh chest boasts an impressive look that will instantly transform your bedroom. 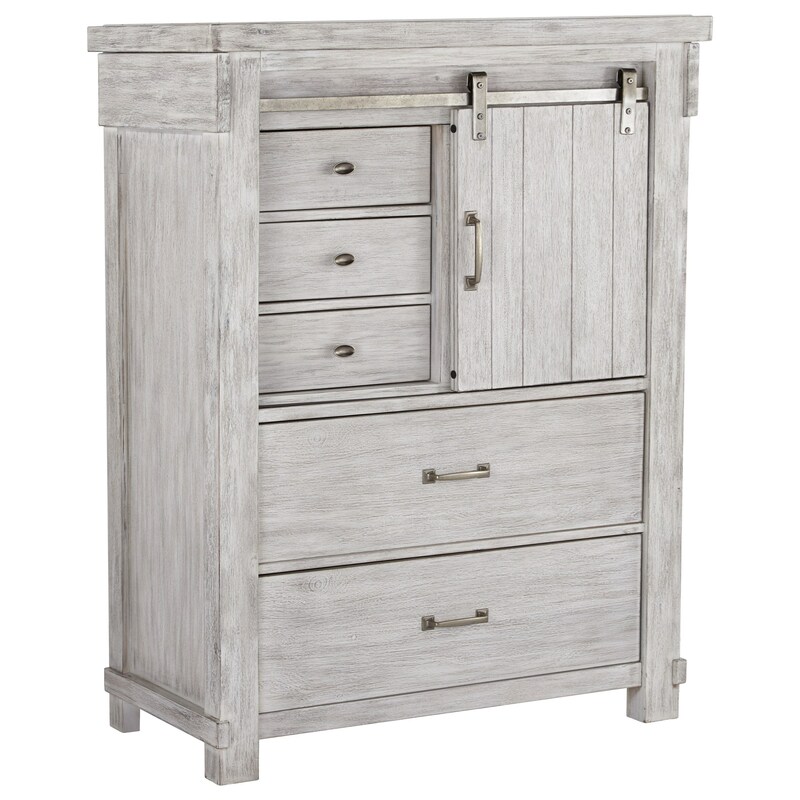 The rub-through finish gives it that heavily weathered appearance that we all love, and the five drawers and sliding door are accented with metal hardware that complements the finish perfectly. With its durable construction and beautiful relaxed vintage design, this piece will meet all your storage needs. The Brashland Relaxed Vintage 5-Drawer Chest by Signature Design by Ashley at Miskelly Furniture in the Jackson, Pearl, Madison, Ridgeland, Flowood Mississippi area. Product availability may vary. Contact us for the most current availability on this product.